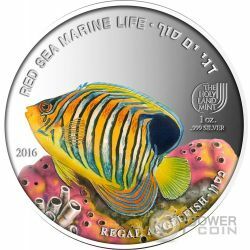 The reverse of the coin depicts a marine Regal Angelfish, with a beautifully colored body, with yellow and black-edged white stripes, it moves from crevice to crevice in search of food. 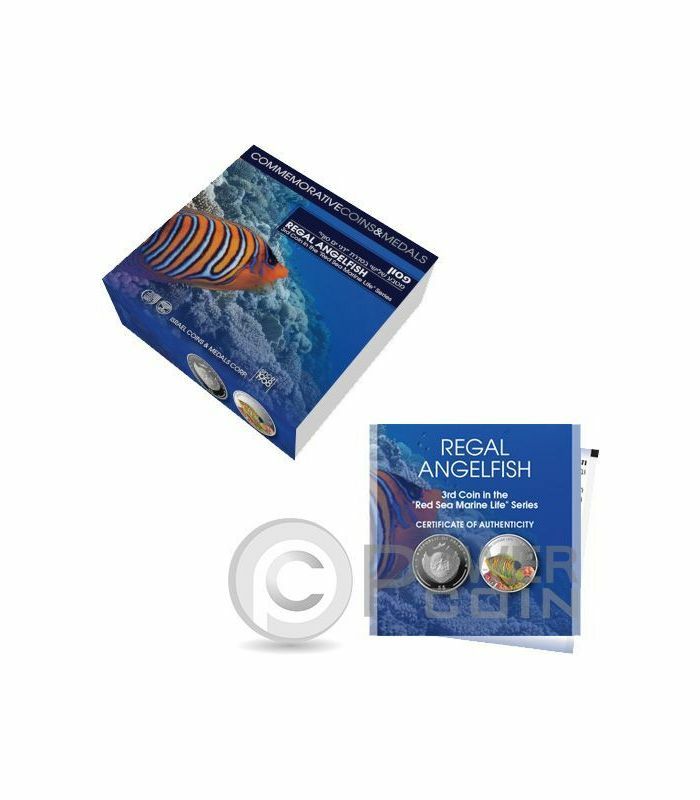 In this image, the fish is swimming above the gorgeous pink corals. 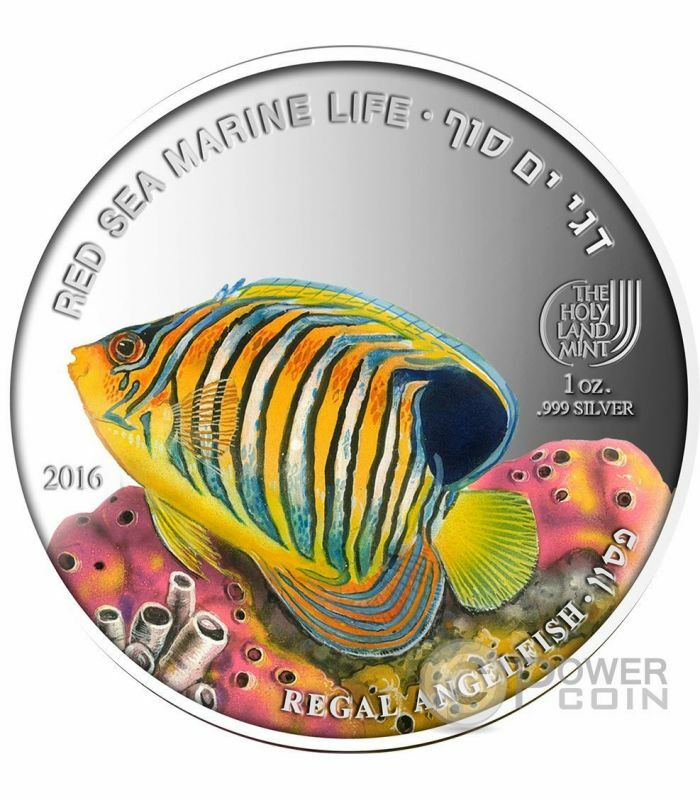 On the top of the coin, the inscriptions: “Red Sea Marine Life” – the name of the series and “2016” – the issue year. 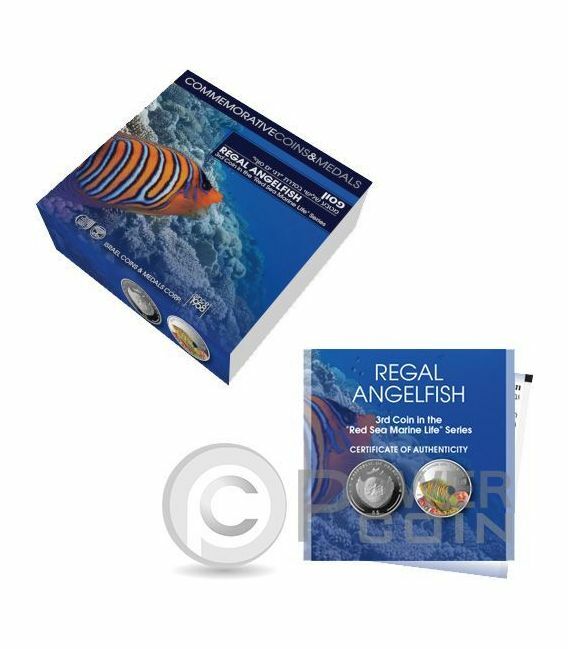 On the bottom of the coin, the inscriptions: “Regal Angelfish” – the name of the coin, the weight and the fineness of Silver: “1 Oz .999 Silver” and in the right side, the logo of the mint. 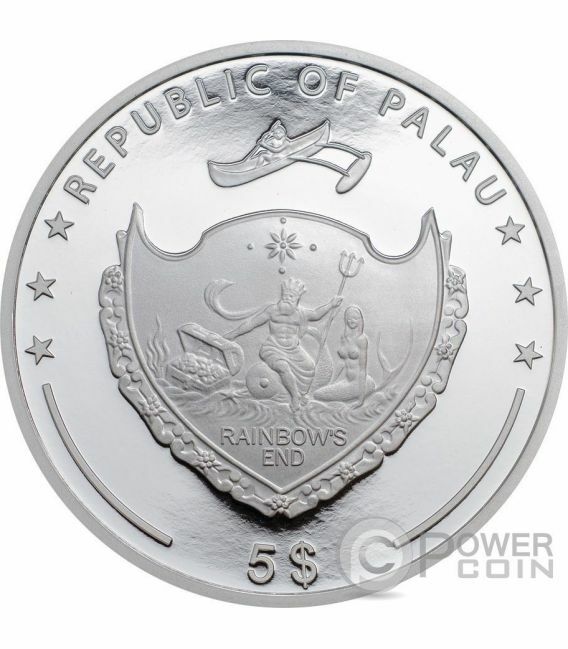 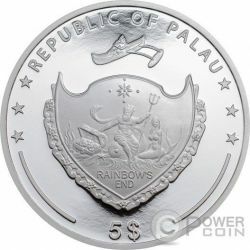 The obverse of the coin depicts the Palau State Coat of Arms and the face value: “5 Dollars”.